We started this photo tour early in the morning when kids are at their best and when we could have the whole city all to ourselves! 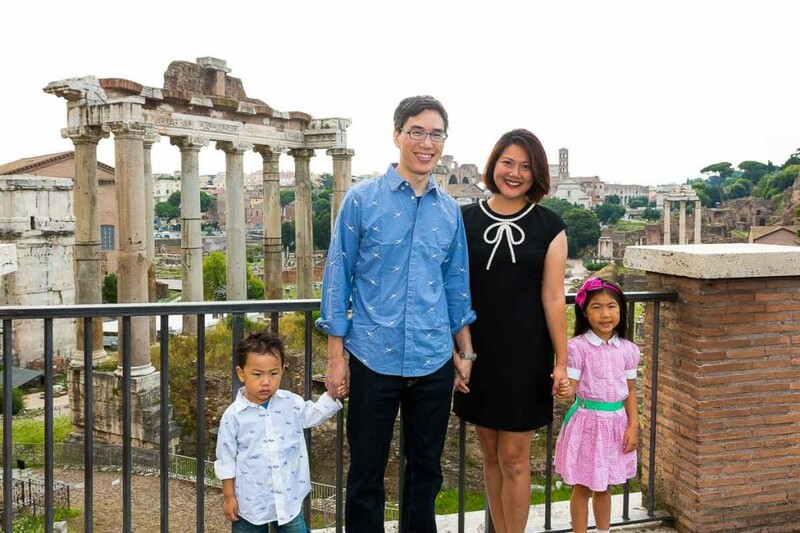 We began with a mini van pick up at the First Luxury Art Hotel in Rome and headed out first to Piazza del Campidoglio. The minivan took us straight up to the glorious view of the ancient city. 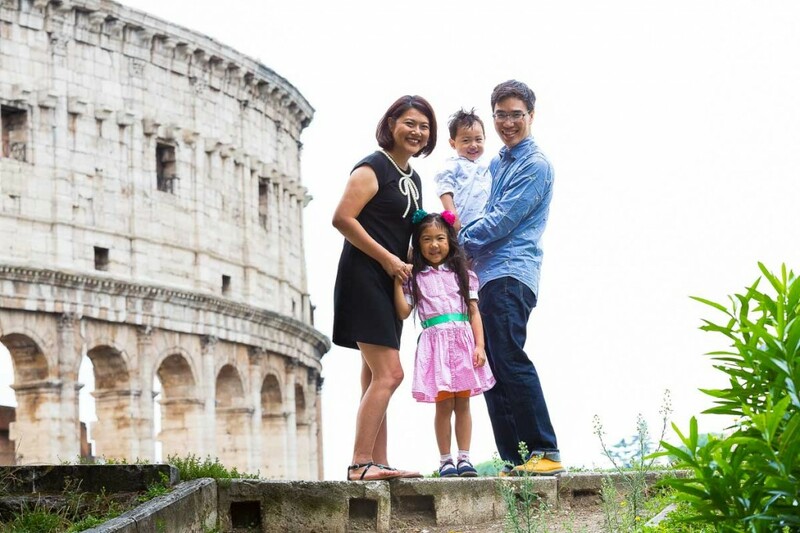 After taking some nice family portrait photography with the roman ruins in the background. 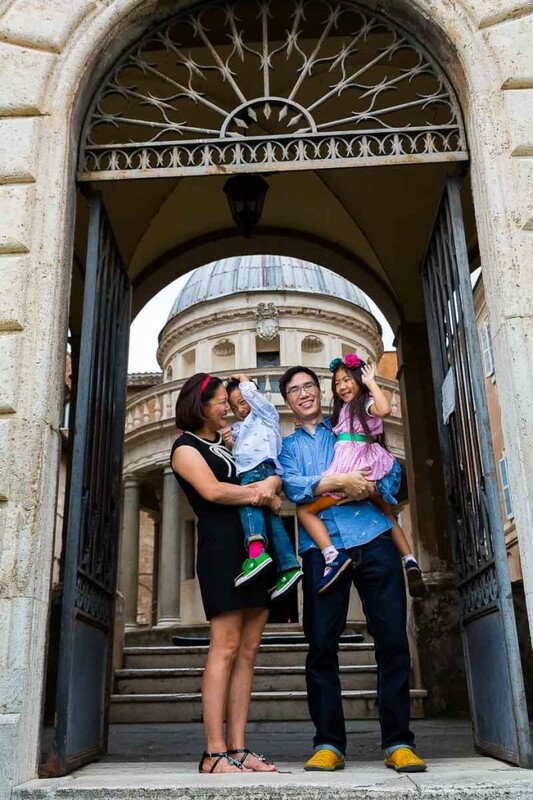 We walked over to the main square where we found some more interesting backdrops for our family photo session. 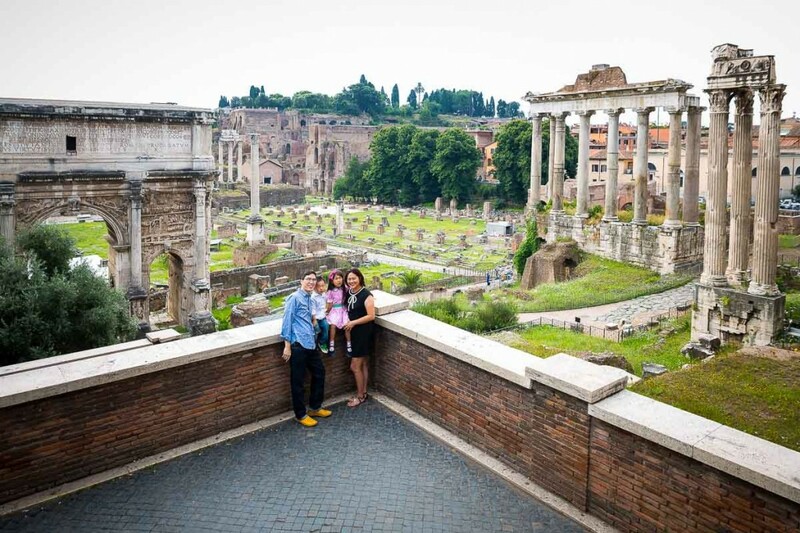 First we took some pictures by this long staircase and later moved to capture a different sweeping view over the forum. 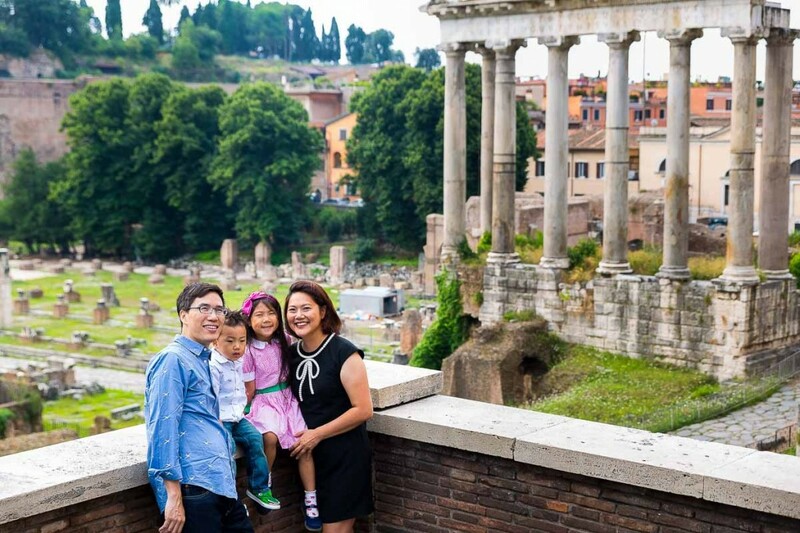 Piazza del Campidoglio has so much to offer in terms of photography that is really apt for a family photo tour. Mainly pedestrian and full of interesting angles close to one another. After taking some last images unerneath the columns we headed back to the minivan. It truly is a must stop location. So we first photographed it from above sitting down. This allowed us to cut out the large visiting crowds. 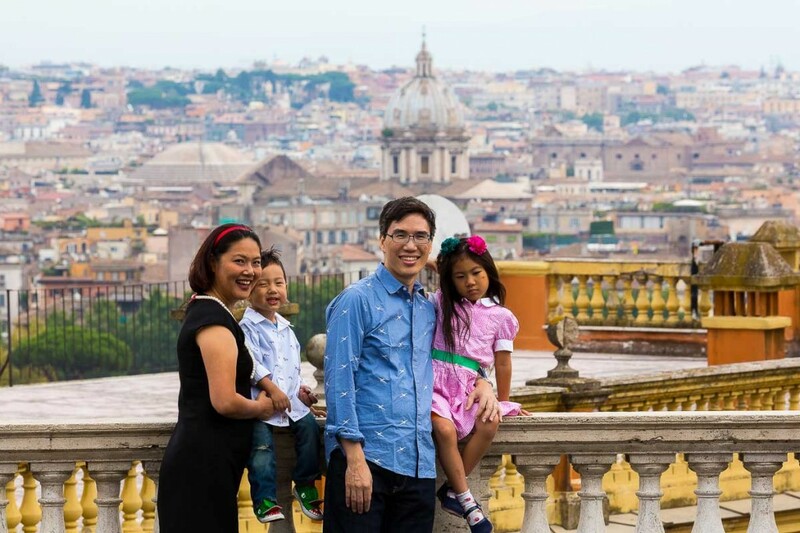 Then we drove around it to find an even more intimate location where we could really focus in on family portraits with this characteristic landmark in the back. This was our next destination. The water fountain offers a truly unique backdrop for portrait pictures. Remarkable Baroque style architecture over crystalline blue water. Then we crossed the street and set up for some more images with the roman rooftops as background. We had time for one more destination. The view from the terrace is truly spectacular and it inspired our last set of images. From there we got back in the minivan and headed to conclude the photo shoot. 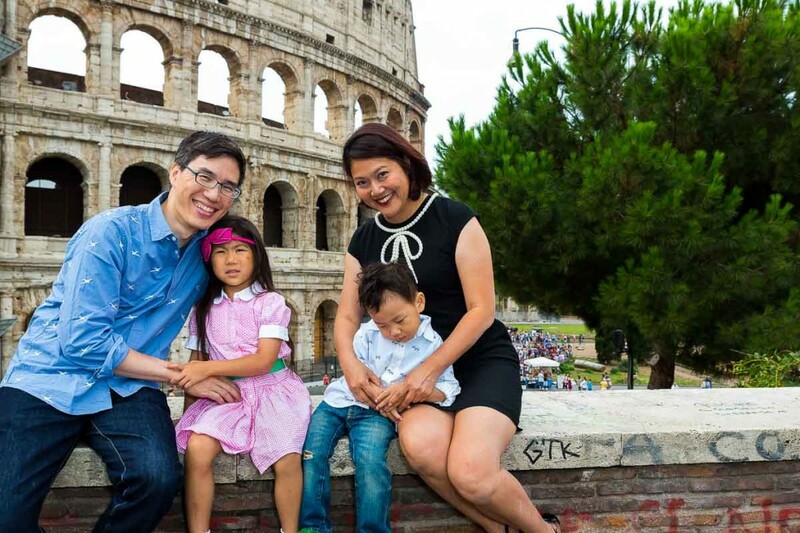 This was Part I of the family photo session taking place in Rome. Check out the second Part II which took place in Venice Italy. 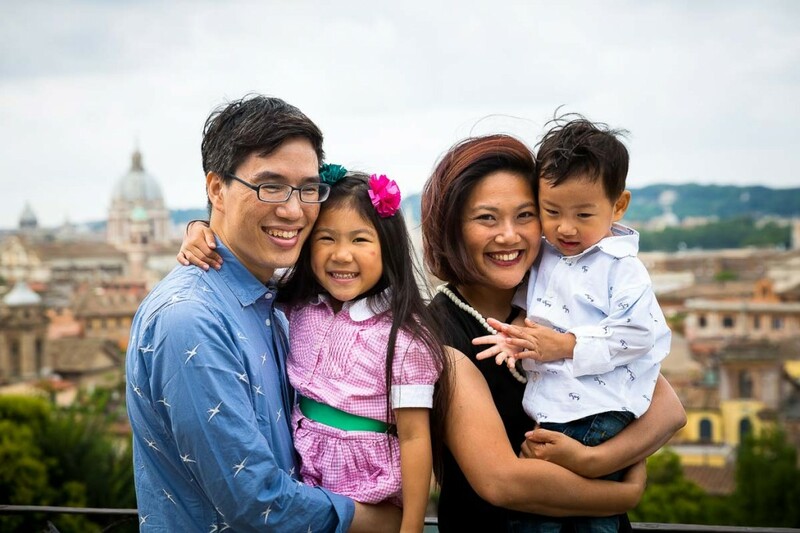 A family photo tour in Rome using a mini van service to reach some of the best locations for photos accompanied by a professional photographer. © 2014 WheretoRome v3.0: Transfer and Photo Services.